The DPC_WATCHDOG_VIOLATION Issue in Windows 7, Windows 8.1 and Windows 10 is one of the most annoying Blue Screen of Death (BSOD) problems. Read below how you can fix it and put an end to this annoyance. 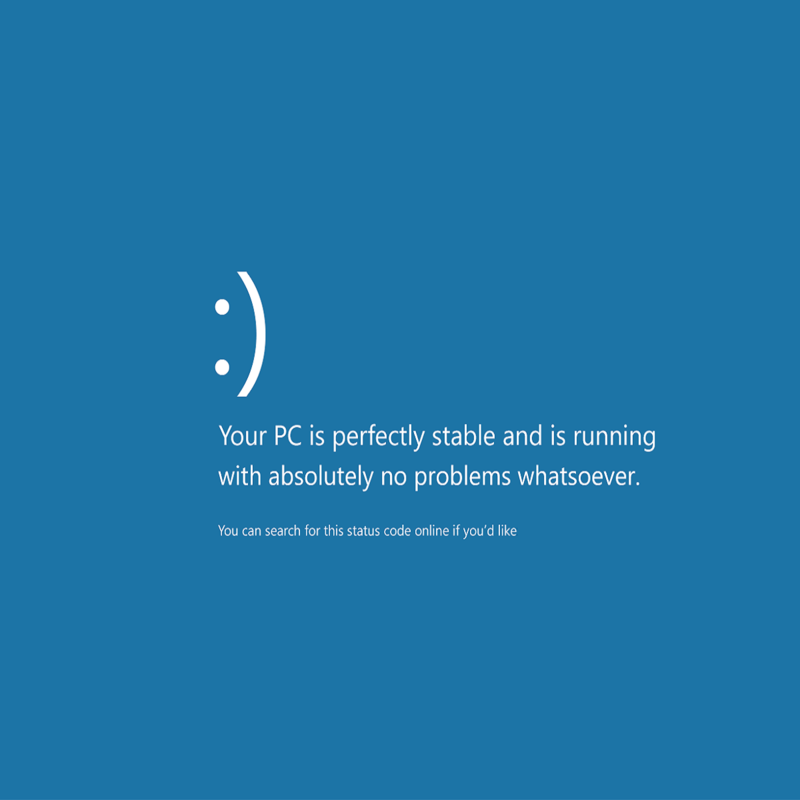 One thing that was persistent in all Windows versions was the dreaded BSOD (Blue Screen Of Death) and Windows 10, Windows 8, Windows 7 are no stranger to them. One particular error has been giving lots of users a hard time recently, and this is the DPC_WATCHDOG_VIOLATION. For those of you that have witnessed this error, you might be wondering what it is and how to fix it. Today, I’ll try to shed some light on this matter and help you fix the DPC_WATCHDOG_VIOLATION issue in Windows 10, Windows 8, Windows 7. What causes the DPC_WATCHDOG_VIOLATION in Windows 10? This bug check indicates that the DPC watchdog executed, either because it detected a single long-running deferred procedure call (DPC), or because the system spent a prolonged time at an interrupt request level (IRQL) of DISPATCH_LEVEL or above. The value of Parameter 1 indicates whether a single DPC exceeded a timeout, or whether the system cumulatively spent an extended period of time at IRQL DISPATCH_LEVEL or above. What they are saying here, is that, basically, Windows 8, Windows 10 has stopped working because it was unable to get a response from a hardware component, its driver or a software program that is related to it. 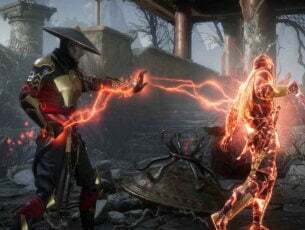 Most often, the hardware component in question is a disk drive, and Windows crashes once the disk becomes unreadable (similar to unplugging the data cable of the HDD when it’s in use). In some cases, the problem can be a hardware incompatibility or even a virus infection. As you can see, there are a number of causes for the DPC_WATCHDOG_VIOLATION error, but luckily most of them ca be ruled out with no effort. For instance, the first thing you should do is check all the disk data/power cables from your computer. In some cases, if they are not properly plugged in, the system might read that the disk is unavailable and crash. If all the cables are intact and properly plugged in, you might want to move on and check the health of the disks. Microsoft suggests that you should replace the driver that triggers this error message, meaning the iastor.sys driver with the storahci.sys driver. Right-click the Start icon > select Device Manager. Select the controller with “SATA AHCI” in its name (such as Standard SATA AHCI Controller). To verify that you’ve selected the right controller, right-click the controller, go to Properties, click the Driver tab, and then Driver Details. Verify that iastor.sys is a listed driver, and click OK.
Click Next, then Close, and then restart the PC. There are a number of utilities you can use to check all the health-related aspects of your drives. For more information on the best tools that you can install to check your hard drive’s health, check out this list. If you own a SSD, you might want to look for a firmware update (if you didn’t update it from the start). Keep in mind that if you update your SSD’s firmware, you will most likely lose all data from it. 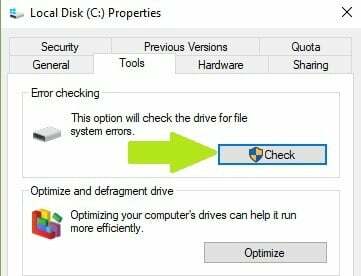 If you want to quickly check your disk for errors, follow the steps listed below (for Windows 10 and Windows 7). Updating all the drivers from your computer is another way to go if you have stumbled on in the DPC_WATCHDOG_VIOLATION. Check your components for their manufacturers and models and then check their websites for Windows 7, Windows 8 and Windows 10 compatible drivers. Also, if there aren’t any Windows 7, 8 or Windows 10 ready drivers, contact them for more information. Still in the updating area, you should check the website of your motherboard’s developer for BIOS updates. Sometimes, if a BIOS is getting old and you add new hardware or operating systems to it, it might not work properly. We strongly recommend TweakBit’s Driver Updater (approved by Microsoft and Norton) to automatically download all the outdated drivers on your PC. Make sure that you’re running the latest Windows OS updates on your machine. As a quick reminder, Microsoft constantly rolls out Windows updates in order to improve the system’s stability and fix various issues. Installing the latest Windows updates on your computer, could also help you eliminated the ‘DPC_WATCHDOG_VIOLATION’ error. Scanning your computer for viruses is something that you should do all the time, even if you don’t have the DPC_WATCHDOG_VIOLATION error. However, if you suffer from this issue, then you might want to scan your computer thoroughly and seek out any malware that might be hiding in it. There are lots of great antivirus programs out there that can do a great job in searching for all kind of malware and other errors. Check out this article to see what antivirus tool we recommend you to install on your computer. 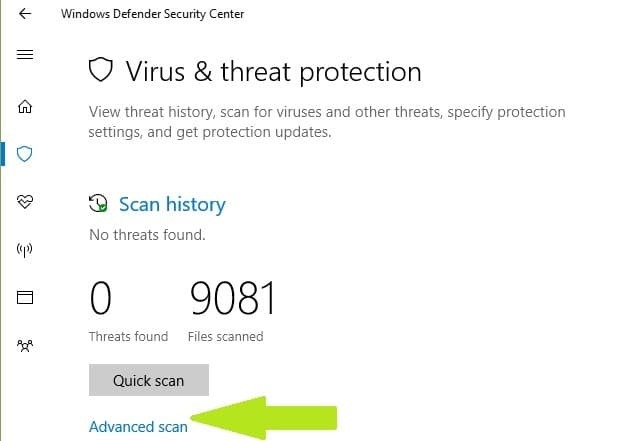 Meanwhile, you can also use Windows Defender to scan your device. 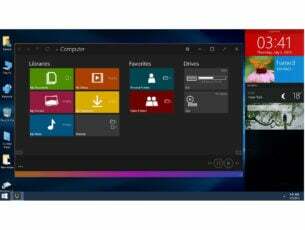 Most programs created for earlier versions of Windows will work on newer OS versions. However, some older programs might run poorly or even cause severe errors, such as the DPC_WATCHDOG_VIOLATION error. You can run the Program Compatibility Troubleshooter to automatically detect and fix some of the most common issues. 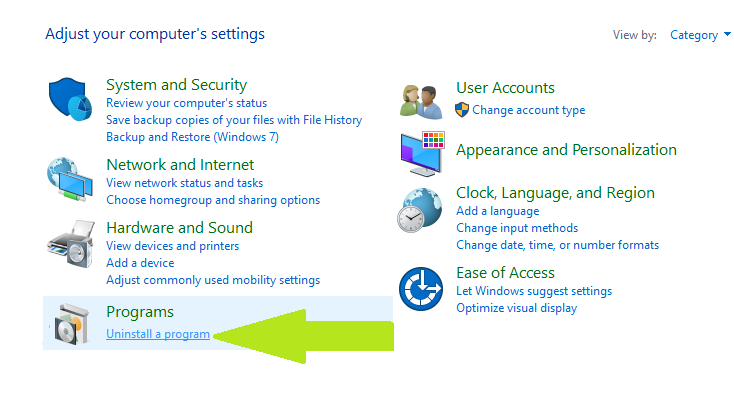 On Windows 10, you can go to the Settings page, select Update & Security and then Troubleshoot. 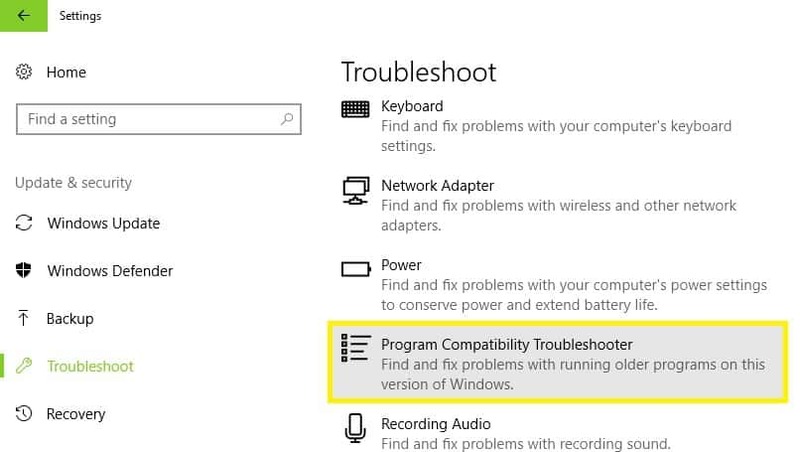 Under ‘Find and fix other problems’, select the Program Compatibility Troubleshooter and run it. Hardware incompatibility is something to take into account also. If you’ve built a new computer and installed Windows 8, Windows 10 and nothing else, and you get this problem, then some components might not work well with each other or with the OS. In this scenario, you should do more research on each component and if you don’t find anything of use, you should contact the store and get some tech support. Keep an eye out for hardware that wasn’t installed properly. Most of the times, users don’t install the RAM correctly and a part of it doesn’t make contact. If you want to check the RAM, take the DIMMs out and place them carefully back in, ensuring that you hear the click and that they are in place. If you recently installed new software on your computer, try uninstalling the respective tools. Sometimes, third-party software may cause severe issues on your computer, including the DPC_WATCHDOG_VIOLATION error. Go to Start > type Control Panel > select the program(s) recently added > click Uninstall. Then restart your computer, and see if the issue has been solved. 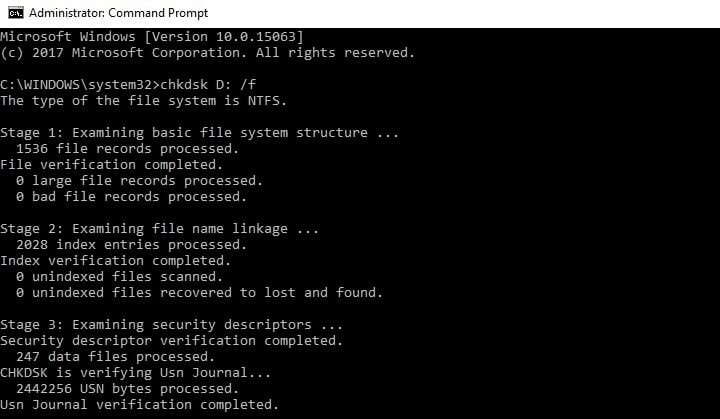 If the problem has occurred after you’ve installed a driver or modified anything on the software level of your computer, then you should do a System Restore to a point from before you’ve modified anything and see if the problem still persists. If indeed it was something you did or installed, then this should fix your Windows 7, 8 or Windows 10 DPC_WATCHDOG_VIOLATION problems. If the problem started recently, run System Restore. If this issue occurred after you installed new software on your computer, this tool helps you remove recently added apps and programs. Go to Search > type system properties > open System Properties. Go to System Protection > click on System Restore. Click Next > choose the preferred restore point in the new window. Once you’ve select your preferred restore point, click Next > click Finish. Your PC will restart and the restoring process will start. After the procedure has been completed, check if the DPC_WATCHDOG_VIOLATION error persists. Windows 10 offers a series of advanced recovery option that allows users to clean install the OS. 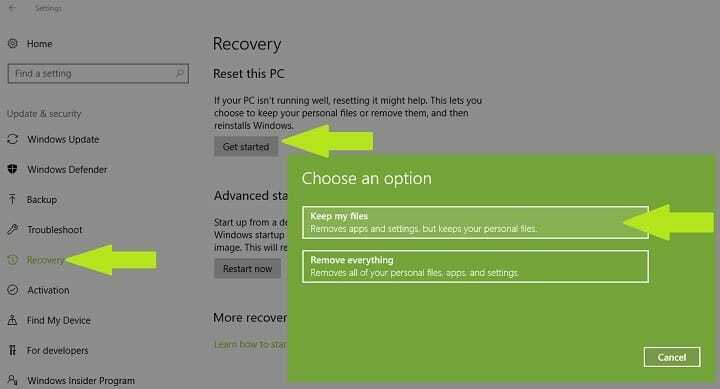 If you’re a Windows 10 user, you can also use ‘Reset this PC’ recovery option. 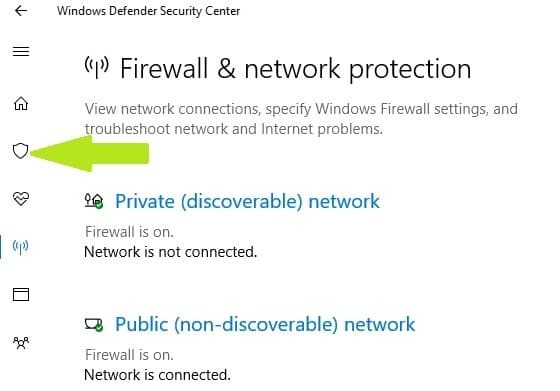 We hope that this guide is of use to you, and if you are still having problems, or if you know any other way to fix the DPC_WATCHDOG_VIOLATION error in Windows 7, 8 or Windows 10, please leave us a comment and we’ll respond as soon as possible. Editor’s Note: This post was originally published in April 2013 and has been since completely revamped and updated for freshness, accuracy, and comprehensiveness.